As the development of Blender 2.8 continues we get more features that might help on architectural visualization projects, and also some resources working again! If you are among the several artists trying the experimental builds of Blender 2.8, you probably noticed that modifiers weren't working at all. In the latest releases of Blender 2.8 modifiers are working again! Having modifiers working again is a great help for anyone looking to create 3d models in Blender 2.8 and test features like Eevee. 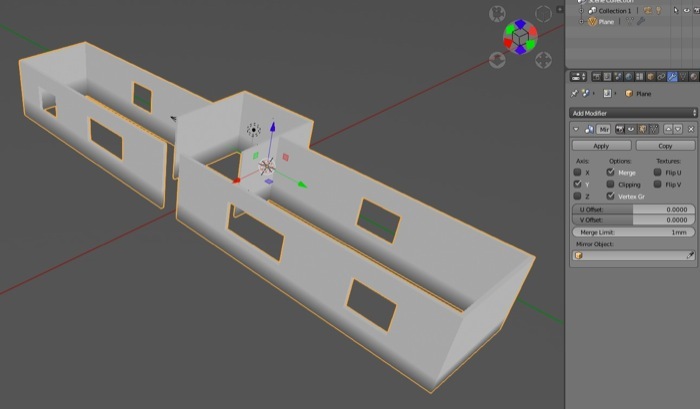 For instance, now you can create 3d models for architecture in Blender 2.8 and use modifiers like Mirror or Array to develop large building blocks. Without them, you had to apply a â€œmanualâ€ copy for all objects in your project. Do you want even more? The animation system is also working again with the latest builds. That means you can start to play around with camera animations in Eevee. Since Eevee is capable of render images in a matter of seconds, you will create architectural animations in just a few minutes from Blender. No need to wait hours or days to finish an architectural animation project! You can use Eevee to create videos and walkthroughs for architecture quickly. Have you ever tried to use IES lights with Blender Cycles? In Blender 2.79 you would have to install an Add-on to use IES lights. In Blender 2.8 you now have support for IES lights built in! How does that work? Simple, you will open the Node Editor for a particular light source (Lamp) and add an IES node. With IES lights you will be able to create interior renders that will simulate lights using real-world parameters. For instance, you can get the exact model of a lamp and use the light emission pattern as an IES file.